After breakfast, we took the coach to Montmartre. 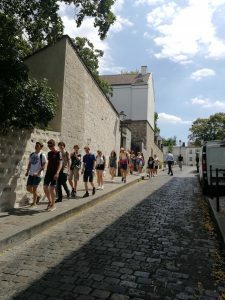 We had a bit of an adventure when the coach got stuck in the tiny, windy streets, but enjoyed the climb up and the ambiance around Sacre Coeur. 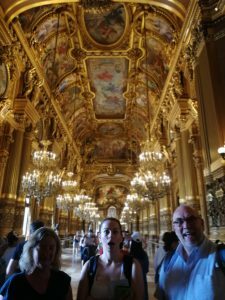 We then visited L’Opera and were amazed at it’s opulence. We then walked down to the Champs Elysses for some retail therapy. Then back to the hostel for dinner.